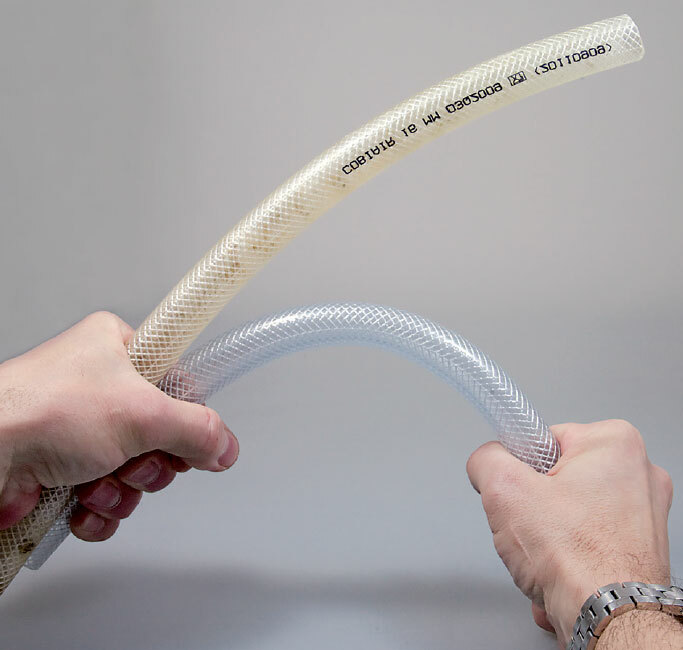 Tubing and hoses made of flexible PVC are almost ubiquitous in the aquarium hobby, but using this material in a saltwater aquarium can be risky. Some materials suitable for freshwater aquariums are inappropriate for marine aquariums. 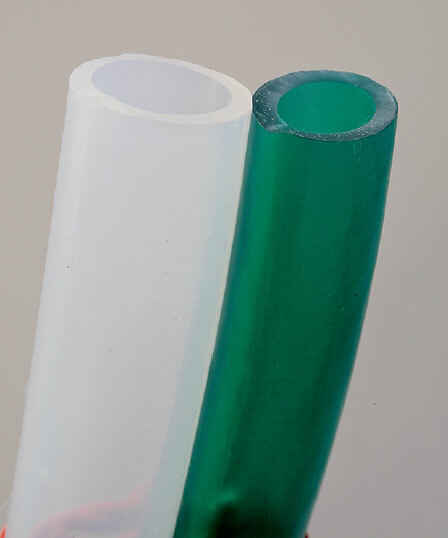 One example is flexible PVC tubing. Polyvinyl chloride, or PVC, is great stuff. In the late 1940s, it was the most widely produced plastic in the world and was soon being used in numerous applications, from flooring and window frames to water distribution and sewer pipes—all of which require long-term durability. PVC is very strong and is not affected much by the environment. It is also resistant to salt water, which is a problem because PVC waste that ends up in the ocean does not decompose. It is only logical that this plastic is also used in reefkeeping. Rigid PVC pipes or plates do not become brittle in a saltwater aquarium, even after years of use. However, PVC has one major drawback: it breaks when bent, because it is brittle and hard. This problem was solved by adding certain chemicals known as plasticizers, but that introduced a new problem. PVC is customized in the industry by employing various additives for particular uses. In addition to various stabilizers and impact-modifiers, these additives include plasticizers such as phthalates, which alter the physical properties of the material so it can be used to produce a flexible hose instead of a rigid pipe or tube. For decades, these hoses have been widely used in the aquarium hobby. Although they do not play the same prominent role in the marine hobby as in the freshwater hobby, where canister filters are common, flexible PVC hoses are often used to fulfill various functions in a typical saltwater aquarium. The plasticizers, however, are not covalently bound to the PVC. PVC is made of long chains of molecules, and the plasticizer molecules are intertwined between them. This results in a physical expansion of the PVC material, because the distance between the individual molecular chains is increased and they become mutually movable, making the PVC soft. However, the plasticizers can leach out of the PVC meshwork into the surrounding medium and when they do, the PVC turns rigid. Plasticizers can also leach out into the air and be absorbed by other materials. A characteristic odor in the air betrays this event—“new car smell” is a good example. The molecular structure of PVC. As I mentioned above, PVC is resistant to sea water, and rigid PVC contains few plasticizers, but the phthalate plasticizers used in flexible PVC leach out. Phthalates are suspected of having a hormone-like effect on living organisms*, causing obesity and infertility and triggering diabetes in humans. An investigation by the European Union (EU) found that certain phthalates trigger a feminizing development in children before and after birth. It would be interesting to know how much this effect disturbs the breeding of marine animals. Phthalates cause kidney and liver damage and are even suspected to cause cancer. Since these substances can pass through the skin, the bodily fluids, or the respiratory system into the human body, PVC containing phthalates was banned for use in children’s toys throughout the EU in 1999. It cannot be used for food packaging because fatty substances absorb phthalate very quickly. Hoses made of PVC: new (bottom) and after one year in a salt water tank (top). As the plasticizers are released, flexibility is lost and the material becomes hard and brittle. In the aquarium hobby, the smaller the tank, the greater the concentration of released plasticizers will be, so they are particularly problematic for nano-reef aquariums. The specific consequences are still uncertain; however, the stagnant growth of corals, the inexplicable deaths of mollusks, and obscure slime algae-infestations are all potential signs of damage. Moderate release of plasticizers in a reef aquarium could be controlled with permanent carbon filtering, but this is not always advisable because this media can also diminish essential trace elements. It is far better to use pipes made of a harmless material to begin with. In a saltwater aquarium, silicone (left), not PVC (right) hoses should be used. 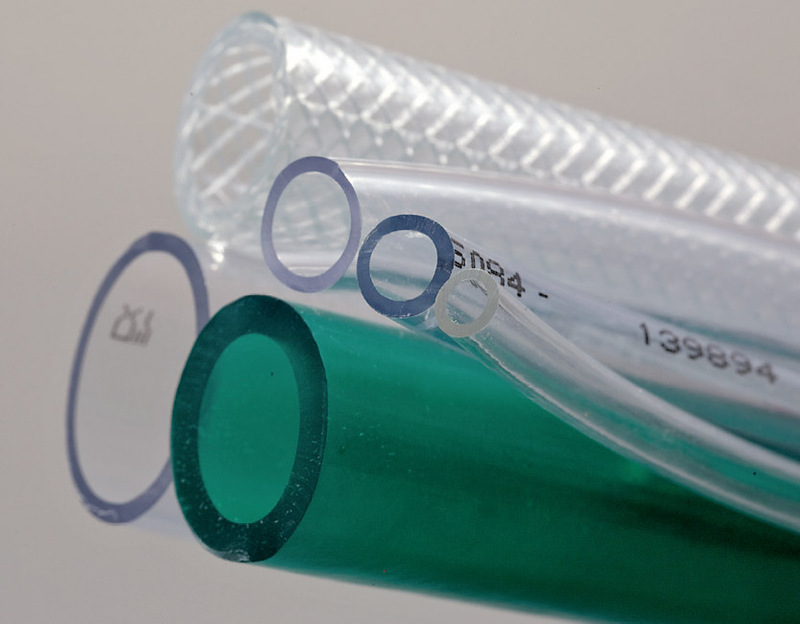 Silicone tubing costs significantly more than PVC, but the material does not change when exposed to salt water for a long time. 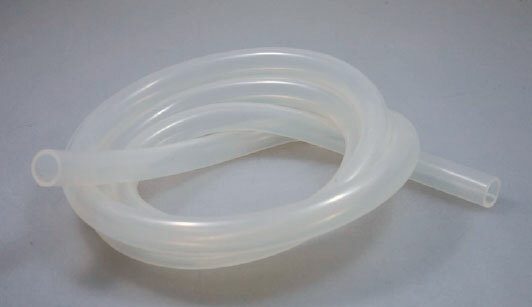 Silicone hoses are ideal for marine aquariums. Do not shy away from the seemingly high price—you’re getting much more than a piece of hose. You will be able to keep your animals in good shape and invest in their health, growth, and longevity. Moreover, the consistent use of silicone instead of PVC gives you the assurance that if your aquarium suffers from a case of acute toxicity, it is not due to plasticizers, so you can focus on finding the actual cause. Moe, Martin A. Endocrine Disrupters. 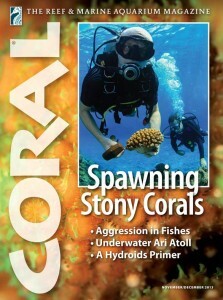 CORAL Magazine 8 (11): 30–40, Reef to Rainforest Media, Shelburne, Vermont. This article was originally published in CORAL Magazine, November / December 2013. Don’t miss out on content you’ll find nowhere else – subscribe today! Great article! Question: this seems to address vinyl hose as this is what is shown in all the pics. When I need a flexible section inbetween 2 pieces of hard PVC, I use the flex PVC that is commonly referred to as “spa flex” – it’s also white, same dimensions as rigid, and solvent weldable. Does this stuff also fall into the same category? I wote for Silicone tubing. Phtalates seem to be a never ending issue. It was in focus already over 30 years ago , killing tomatoes and plants grown in poly-growinghouses. Probably it’s much safer for our SW-tank inhabitants to change to silicone tubing. A great spot for vital information, thank you for sharing with the rest of us! I wote for Silicone tubing. Phtalates seem to be a never ending issue. It was in focus already over 30 years ago , killing tomatoes and plants grown in poly-growinghouses. Probably it's much safer for our SW-tank inhabitants to change to silicone tubing.